"Position Preferences" can be set for each helper (similar to skills). When you use AutoFill, you can choose whether to consider these position preferences or not when the shifts are automatically assigned. It can be helpful, for example, to indicate that a helper can help for a difficult to fill position if needed but you prefer to have them help for other positions. It can also be useful in setting which locations the helper prefers to help (Ex. 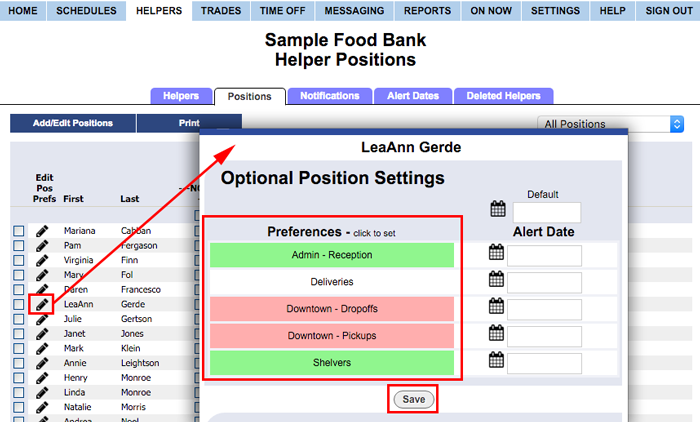 for a helper you can set all Location 1 positions to "prefer" and other location positions to "dislike"). Coordinators (with permission to edit helpers) can set these preferences - but you can also allow your helpers to set their own position preferences on the SETTINGS>Global Helper Permissions page. 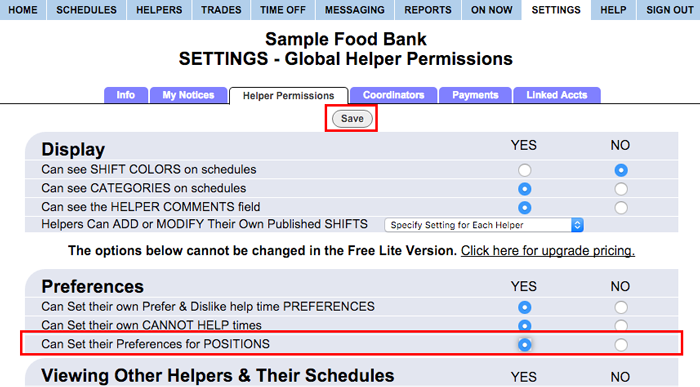 Helpers do not see position preferences unless you have set "Helpers Can Set Their Preferences for Positions" to Yes on your SETTINGS>Global Helper Permissions page. By choosing "Yes", you allow Helpers to see and set their own preferences for locations or position preferences when they sign in. When Helpers sign in and look at their Preferences page, they will now see a list of their positions and will be able to set each position to prefer, dislike, or no preference.